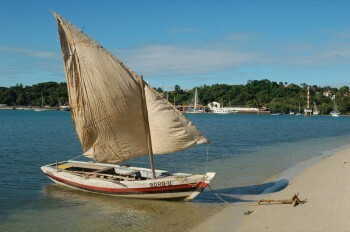 Traditional boats have always been a big passion of mine. They appeal to my interest, as a sailor, in all other watercraft, and they also tickle my perpetual fascination with history. Having now spent three and a half years messing about on the east coast of South America we’ve had the chance to get to know the local boats pretty thoroughly; and certainly I’ve had the chance to compile a vast portfolio of photos of the various craft. Whilst I wouldn’t say that we’ve become authorities on this subject, we’ve learnt a lot about the traditional boats of Brazil, and I’d now like to share their story. A few weeks ago we told you about canoes and kayaks suited to the use of the travelling sailor, and so for the first chapter of this story we’re going to show you some of the ancient relatives of these modern vessels. When our Stone Age ancestors discovered the implausibility of sitting atop a log, one solution which offered itself was to lash a pile of them together, but a more sophisticated approach was to was to hollow out the tree. When you think about it, this way of tackling the problem is so revolutionary and so tangential – so much at odds with the obvious – that it must surely have required the input of a palaeolithic Einstein. And then, having somehow hit upon the idea of sitting inside the tree, our genius had to get his mind around the task of removing the innards. Or did Mother Nature lend a hand in the evolution of this technology? Did she just happen to toss down a tree whose innards had been burnt out by a lightning strike…? How they really came upon the method is anybody’s guess, but the Africans have known for many centuries that the work of building a dug-out canoe is made less laborious by the use of fire. In Ghana, where the fishermen use dugouts some forty feet long, I’ve seen freshly felled trunks which were still charred – and still wet, for that matter, because after the fire has been started it must be stopped before it devours the whole log. 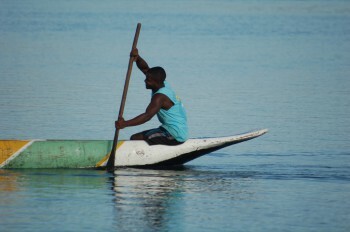 According to the history books, the Tupi-Guarani indians who lived all along the coast of Brazil used to build even bigger canoes – they had canoes big enough to carry forty or fifty men – and, like the Africans, they had the wits to employ fire in the business of disembowelling the tree; but the Portuguese settlers who came to dwell amongst them in the 16th century were unfamiliar with this technique, and they preferred to rely on their adzes and axes. This hand-adze is used to apply the finishing touches to the hollowed trunk. 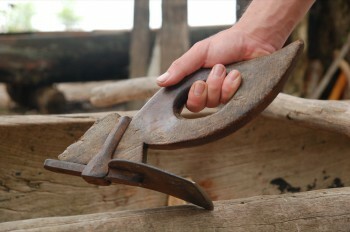 These new-fangled iron tools will have seemed wonderful to the Amerindians – and so they are – but when one considers the laughable ease with which a man might set a tame fire to do his work and compares it with the chore of chip, chip, chipping for hours and days… Well, it’s clear that a given technology is only superior when it is appropriate. 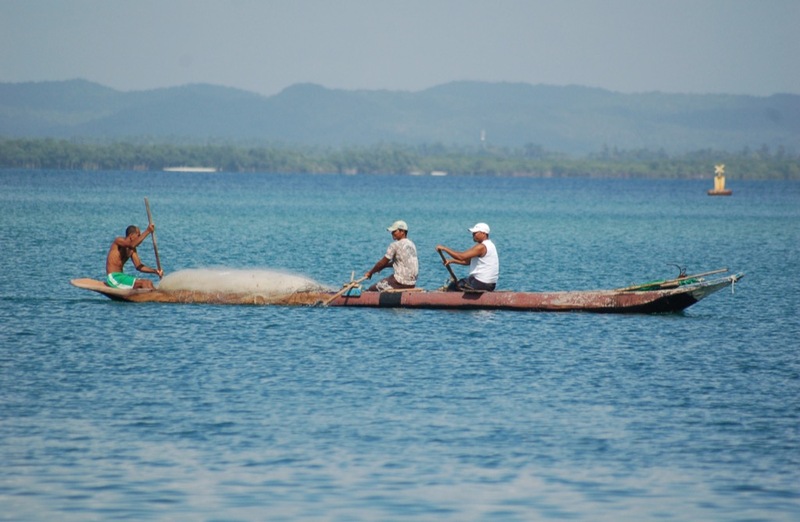 Be that as it may, the weapons and ways of the dominant culture will always appeal; and so the mestizo descendants of Portuguese men and Tupi women opened Pandora’s Box, and the traditional skill of building a canoe with the help of hot coals has long since been forgotten. Nowadays, Brazilian dug-outs are sometimes built with the aid of a chainsaw. 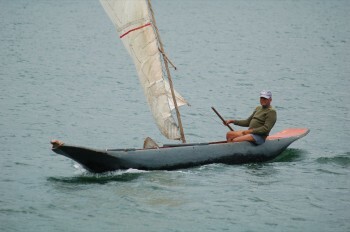 The dug-out canoes of Africa and Brazil are essentially quite similar, but on looking more closely one identifies features which are often unique, not just to a nation but to a particular locale. 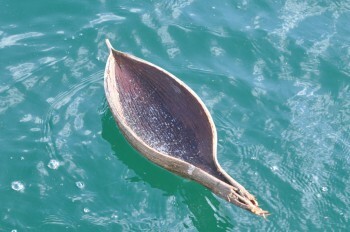 The typical Bahian canoe is low and has long overhangs. 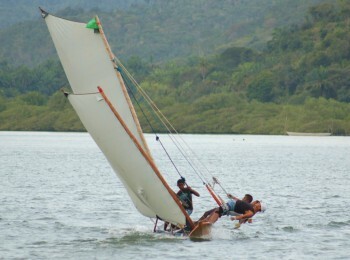 Perhaps Jorge should have stuck to sailing his stout lateen-rigged dinghy. 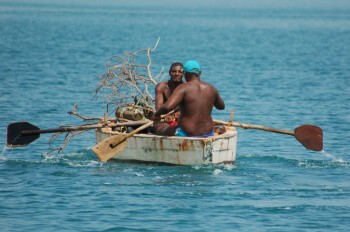 Shortly after we sent Jorge on his very merry way he was seen lolling about in the bottom of the canoe, singing lustily. As he later told us, “I woke up in the water.” Climbing back aboard an up-turned canoe is about as easy as riding a log, it seems, and so our friend had to swim ashore. No doubt the vessel eventually washed up, somewhere in the bay – and no doubt somebody was delighted to find himself the de facto new owner. As you can see from the photos, even these rather small and basic dug-outs are not just hollowed out logs. They have a very shapely bow, which cuts the water, and they have a distinctly different stern. 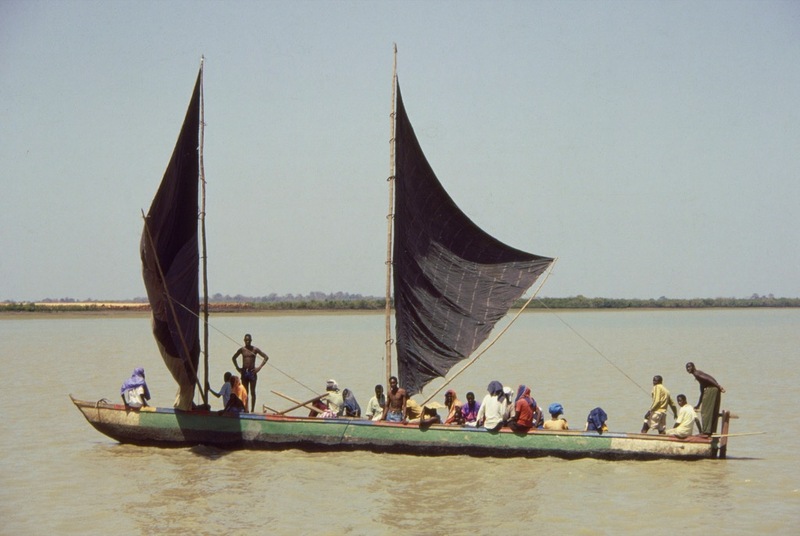 I would imagine that before the Portuguese showed up with their “proper boats” the indian canoes were double-enders, and in Africa, where the European influence is far less strong, dug-outs are still fairly rough and ready. The man paddling the Bahaian canoe generally sits on the stern, and having once had the opportunity to give it a go (on the occasion when a dug-out came drifting past our boat, all alone) I should say that steering is certainly easier from this position. 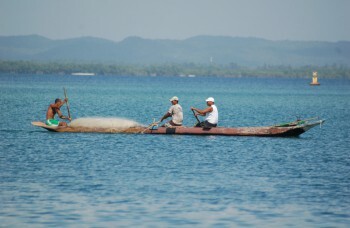 These men live in a village frequented by yotties and have fitted their canoe with makeshift rowlocks. Occasionally one sees dug-outs which have been fitted with thole-pins, so that they can be rowed, but we have yet to come across a peasant fisherman who understood that the blade of an oar needs to be long and thin. Rather, they persist in imagining that a blade like a spade is ideal. 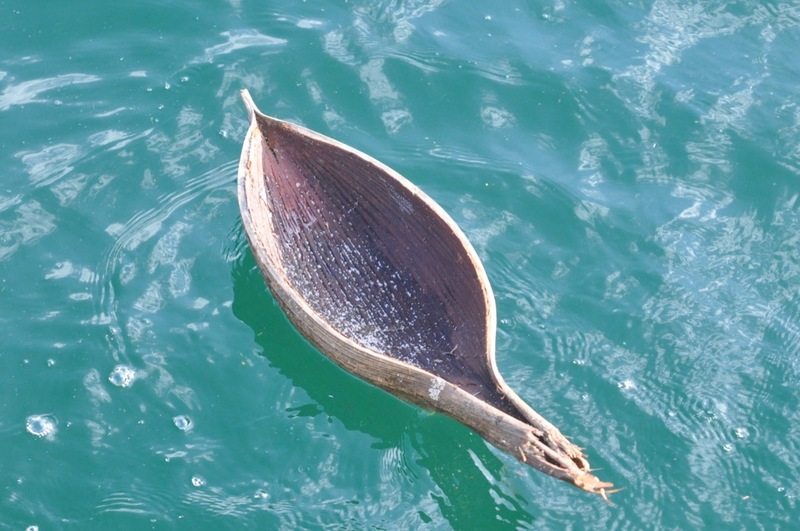 The spade is fine for shovelling water past the boat, “indian style”, and the traditional leaf-shaped paddle blade is even better, as it can be twisted in the water to allow steering; but rowing is a whole different game. The oarsman’s blade chops into the water like a paddle, but it leaves it at an acute angle, and the broad paddle-blade is not capable of this finesse. Being quite as adept as their ancestors in the business of putting Nature to work on their behalf, the fishermen of Bahia only paddle their own canoes when there is no wind. When the least zephyr of a breeze offers itself for use they set a small lateen. 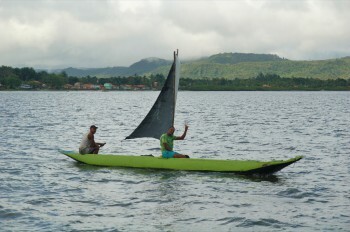 If the canoe is long enough, they sometimes set two small lateens. On the whole I should say that the Brazilian dug-outs are less cleverly rigged than their African equivalent, and their workaday sail is certainly far less ambitious. 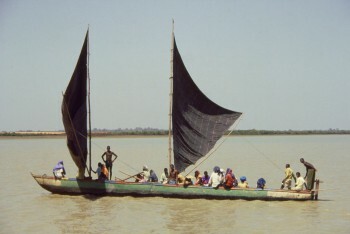 On the rivers in Guinea Bissau we have seen ferry canoes which set two fairly large sails; and in Ghana the fishermen go bowling out to sea under a massive balloon-shaped sail – a sail which requires the support of two spars, set in a V-shape, and which also needs to be balanced and stayed by two crew hanging out of the boat on primitive trapezes. 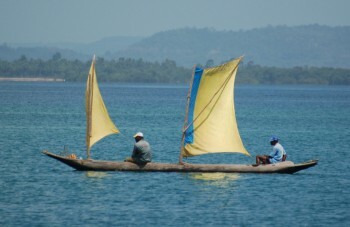 If we had only ever seen them going about their daily business then we would have left Brazil thinking that the fisherfolk of these parts are rather unadventurous – but fortunately we have also seen these men at play; and when they play with their boats all trace of timidity and common-sense is gone. During the week, the Bahian peasant fishermen use their dug-outs to get to the middle of the river or to cross to the mudflats. 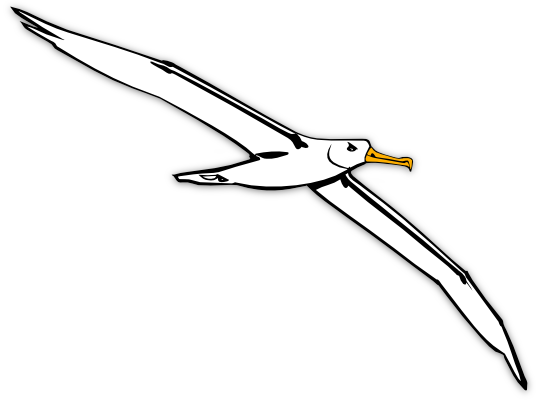 They use them to carry their crab-pots and their drift nets, or they stand in the narrow vessel and toss out a cast net. 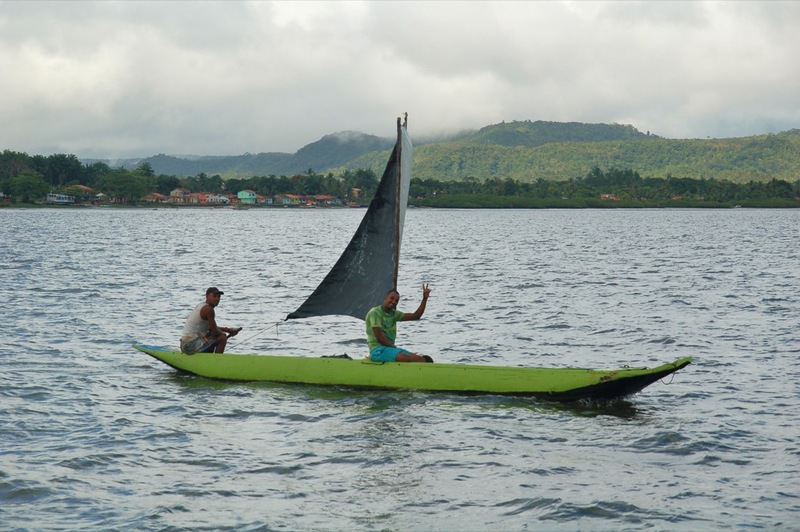 So far as they are concerned, a canoe is somewhere between a bicycle and a pair of Jesus boots – it just about enables them to walk on water – but so far as the fishermen’s teenaged sons are concerned, these things are racing machines. 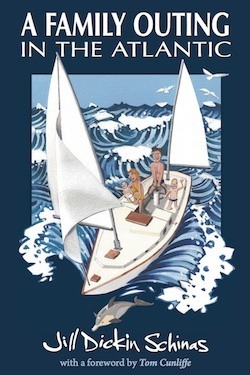 At the weekend, the boys toss aside Dad’s fishing gear and the little ragged lateen sail, and they rig the canoes with two tall, powerful, flat-cut sails. When you see them tearing along, with four guys on make-shift trapezes and the spray flying, then you see why the canoes need that fine bow. “Do they ever capsize?” I asked one of the old men. He looked at me as if I must be mad. “Of course they do!” he replied. And indeed, how could they not? As we shall see, the Bahian canoes are far from being the only traditional craft in Brazil which have evolved to satisfy the demands of modern man, but so far as I am concerned, they are probably the most exciting. Did they let me have a go? You bet they didn’t! This is a boy’s toy. 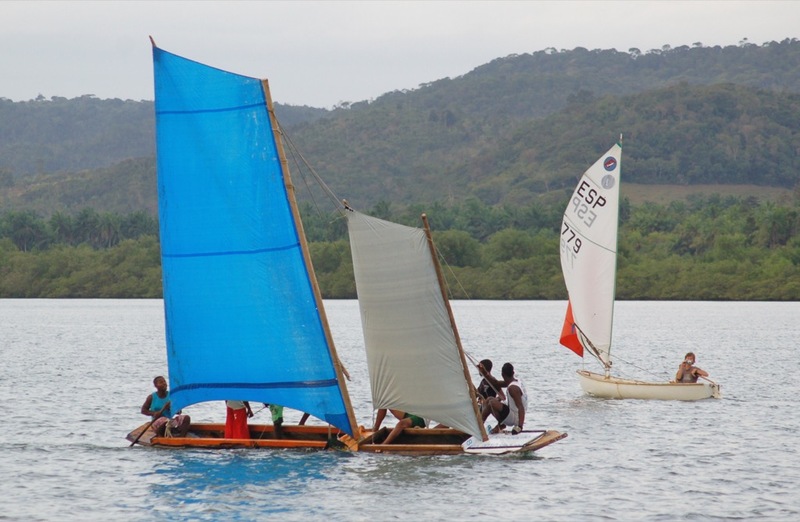 However, I’m sure they would have happily taken Caesar for a ride if only they hadn’t been too busy showing him how much faster they could go than our little sailing dinghy. In the second chapter of this story of Brazil’s traditional craft we show you how the modern Brazilians cope with the ban on hollowing out trees.